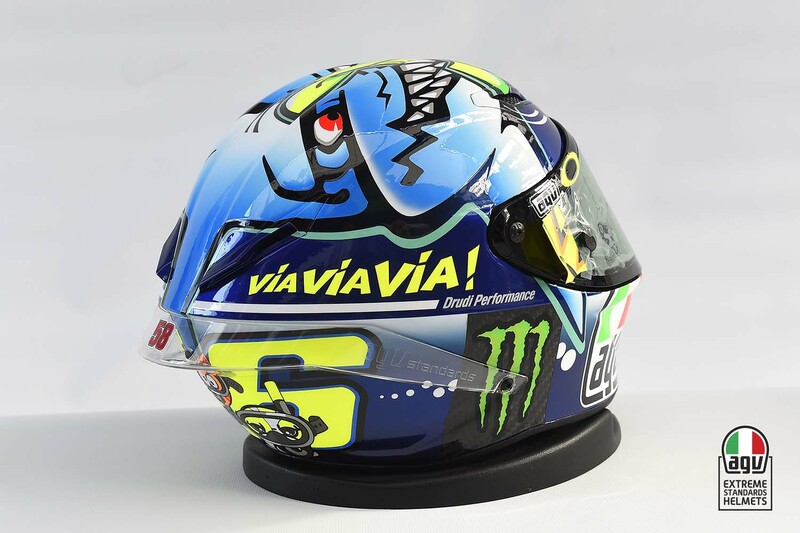 It’s another home round for The Doctor, so that of course means another special helmet design. 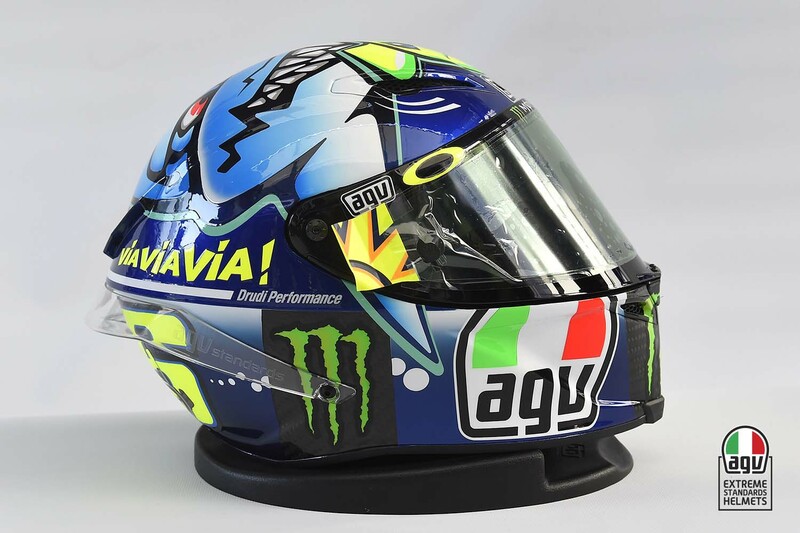 For this year’s San Marino GP, Valentino Rossi’s AGV Pista helmet plays to the theme of the coastal race track, with an underwater theme. 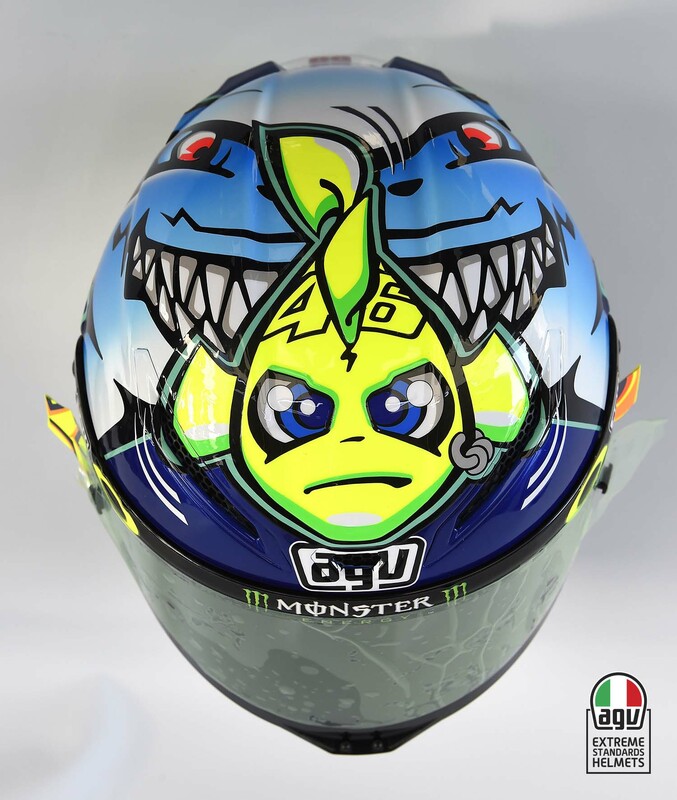 Very obviously, Rossi is pictured as a yellow fish that is being chased by a shark (we’ll let you decipher the symbolism there). 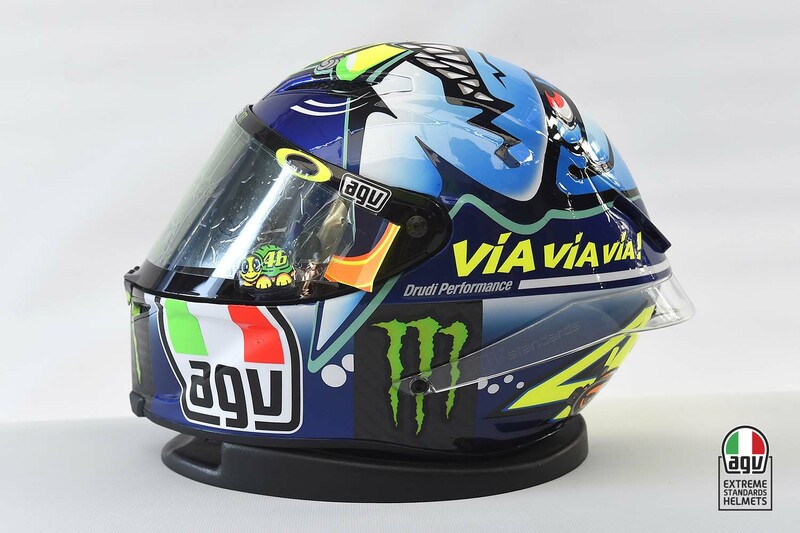 The words “Via Via Via!” in Italian are on either side of the helmet, translating to “Get Away Get Away Get Away!” in English. 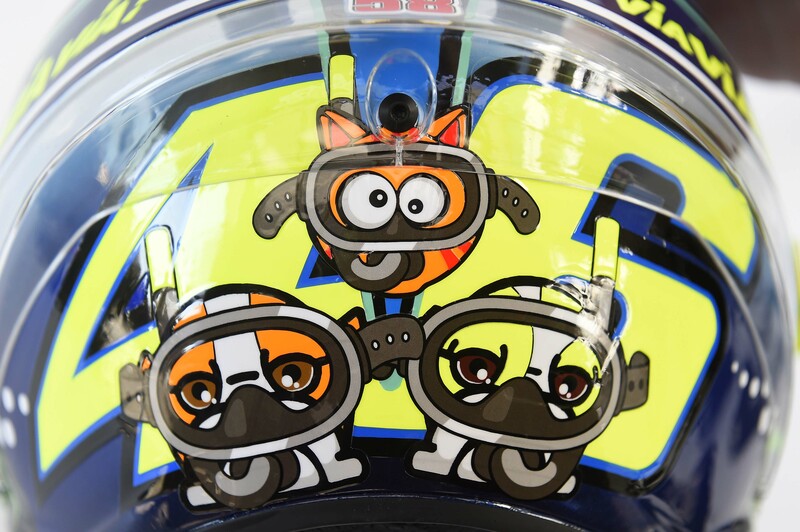 Not one to leave his pets out of the design, on the back of the helmet are Valentino’s dogs Cecilia and Cesare, as well as his cat Rossano, who are sporting some snorkels for their underwater excursion. 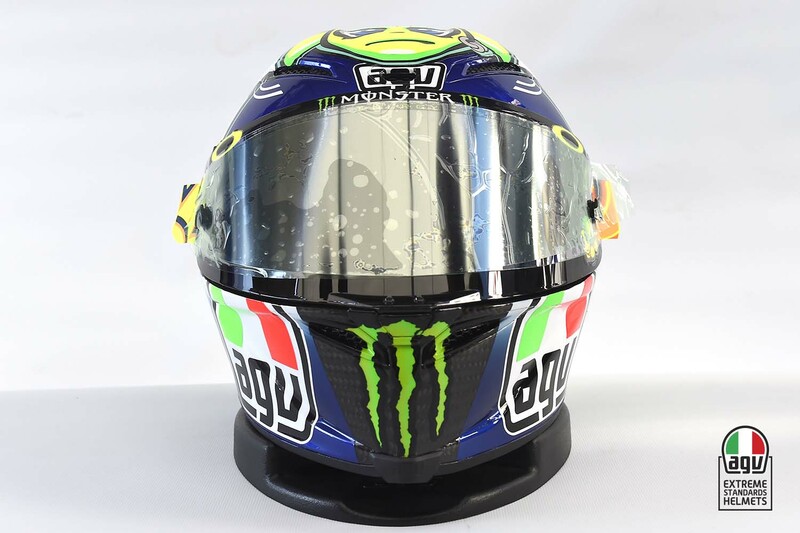 Starting from the front row on Sunday, we’ll have to wait and see if Rossi can get away from the sharks doing the San Marino GP, and extend his lead in the 2015 MotoGP Championship.